Cross of Christ Fellowship strives to be on mission through the table, pulpit, and square. In all of these settings, non-Christians are hearing the gospel and Christians are being discipled by each other. A major concern among many Naperville residents is caring for aging relatives and parents. We hope that we can be a loving and gracious presence to this segment of the population. In particular, we are focused on ministering to the residents of Independence Village (a retirement community in downtown Naperville) and host events (like hymn sings) to bless, love, and serve them. Our meetup groups meet at the Barnes & Noble Cafe in downtown Naperville. Many adults in Naperville crave opportunities to talk about deeper philosophical, life, and theological topics in a group setting. One way we seek to serve Naperville community is to provide this. We facilitate Meetup groups (Coffee & Conversations and Curious About Christ) which meet in public venues and provide a welcome space for skeptics, non-Christians, and Christians to discuss a myriad of different topics. These "Meetups" often give us occasions to share the truth and hope of the gospel and to form genuine relationships with individuals in the community. 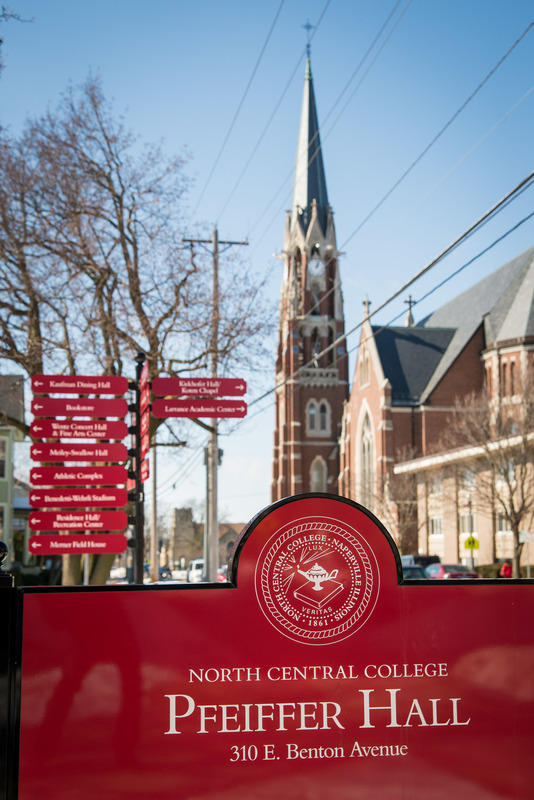 Cross of Christ Fellowship is located within walking distance of North Central College. For many of the nearly 3,000 undergraduates who attend there, college is a profoundly formative time of their lives. We hope to bless and serve the students of North Central College by providing them with a local gospel-centered church they can participate in, equipping them to grow and mature in their faith through personal discipleship, and proclaiming to students the wonderful gospel message of Jesus’ life, death, and resurrection. Feed My Starving Children is an organization that provides meals to children around the world who are without regular access to safe and healthy meals. The organization has a location in Aurora that we regularly attend to pack meals which are then shipped out around the world. Along with donating our time, we also donate funds to the organization.